In this demo you'll begin your journey into the world of Vengeful Rites. Learn to fight, master the forces of magic, discover hidden treasures and defeat the enemies that would see you and all of mankind dead. Your progress is saved and carries over to the full game when it enters early access. 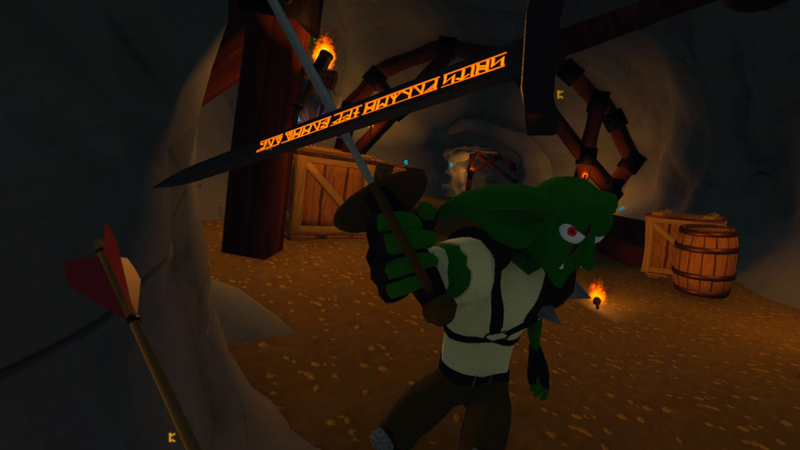 Vengeful Rites is a made for VR RPG with an emphasis on challenging melee combat, cool magic and rewarding exploration. • Waggle-free melee combat where enemies are ruthless and seek to catch you off guard. • Fun magic from a variety of disciplines that you cast with intuitive gestures. • A world full of verticality where climbing is a requirement to get around. • Hidden treasures that only those clever and thorough enough will discover. • A perk system that lets you customize your abilities to suit your playstyle. • Epic boss fights that pit you against larger than life adversaries. • Unlockable spells and stat upgrades that give you the strength required to defeat your enemies. • Every action is performed with a physical, real action to match it. This is VR.